Sick of your pine tree or palm tree? Arrange with Sydney Tree Removals to come out to the Rosebery so we can calculate your pine tree removal cost, or palm tree removal cost. We provide free tree removal quotes for those who have council tree removal permit approval or council tree pruning permit approval. 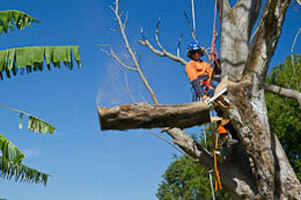 For your tree services throughout the Rosebery contact Sydney Tree Removals to have your trees removed safely! Tree stumps can be difficult to remove and that is why we offer a tree stump grinding service for the Rosebery of Sydney. If there are electrical, water, gas, or other services running near your tree stump using a stump grinder may not be the most suitable option. We also remove stumps manually, or through a chemical treatment. Did you know you can be fined and taken to the Land and Environment Court for illegally removing a tree in the Rosebery region? If you are having difficulty with your local council's removal permit or understanding your council's tree preservation order - we can help identify trees, palms, or branches for removal or pruning. 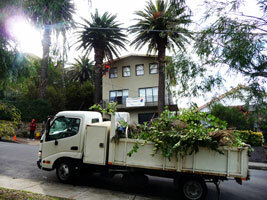 We can even help you get a tree removal permit for Rosebery. When organising your Rosebery tree service we can arrange to leave you fire wood, mulch, or wood chip if you desire. Just let us know when you are requesting your free tree pruning or tree lopping quote. We can also deliver mulch to Rosebery from other jobs that don't want it.